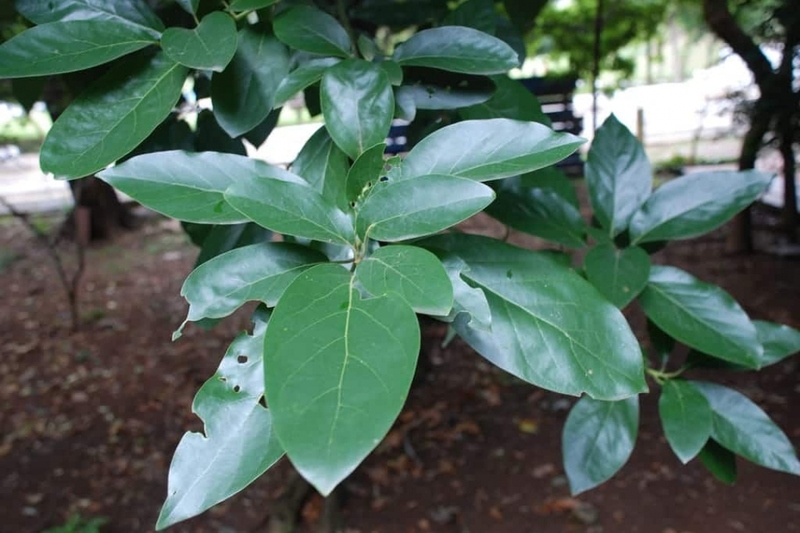 Avocado Tree (Persea americana): growing, planting, caring. From a pit, to the delight of your children! The avocado tree - Persea americana - is a fruit tree species from the Lauraceae family, originally from Mexico and Central America. It is mostly grown for its avocado fruit, rich in lipids and eaten like a vegetable. It likes rich, well-drained, neutral soil in the sun or partially shaded. The avocado tree - Persea americana - is a fruit tree species from the Lauraceae family, originally from Mexico and Central America. It is mostly grown for its avocado fruit, rich in lipids and eaten like a vegetable. It is a medium sized tree that can reach fifteen meters of height in it's natural environment! It's crown is wide and dense, it's trunk covered with cracked, greyish bark. The 12 to 25 cm long, alternating leaves are simple, oval and dark green. They fall every year, but after the tree has already formed it new annual foliage — the avocado tree stays evergreen. Choose one or more nice avocado pits, well-sized and unscratched when taken out. Clean them gently in clear water, removing all the rough skin. Soak them for around half an hour in hot water, between 35 and 40°C. Let them dry for a few hours in a dry, well-ventilated room. Then insert 3 to 4 matches or toothpicks into the pit and rest it over a glass. Fill the glass until the water just covers the lower part of the pit. Change the water regularly. After a few weeks, the roots will have grown a few centimeters — you may now plant the seed in a terra cotta pot filled with potting soil. Water regularly in the beginning to keep the substrate lightly moist. Avocado trees are typically very sensitive to freezing, but you may plant some highly resistant varieties outdoors if you live in an adequately mild growing zone. In this case, find it a place sheltered from winds, such as against a wall. You should keep the substrate lightly moistened, especially in the beginning when your avocado tree is at it's most fragile. The larger the avocado tree, the less water it will demand. Too much water and it's leaves will turn yellow, not enough and they'll turn brown! If your avocado tree is outdoors — impossible outside of the gentlest climates — protect it with a thick ground mulch and a cold-weather cover in the winter. In the south of France, in the USDA Zone 8b (south of Nimes), you can see avocado trees that are many dozens of years old — in the protected zone, they still flourish and can even produce some fruits. You avocado tree need maximum light — if you can, take it out during the summer to let it take advantage of the sun! Find it a well-sheltered place to stay — it hates air currents. Before the first freeze, bring in your avocado tree if it's outdoors. Place it next to a well-facing window! Every two years, transplant your avocado in a slightly larger pot. Scrape any exterior roots that twist or bend in order to facilitate regrowth. Water. Your avocado tree may be subjected to two diseases — Phytophora cinnamom, a fungus, and the infamous red spiders. Phytophthora cinnamomi develops in the presence of moisture and high temperatures, between 27 and 30°C. The first signs of the disease are withering and yellowing leaves, which nonetheless remain on the plant. Lighten up and ventilate the plant, eventually treating it with a solution of water and sodium bicarbonate (5 grams/per liter) and a little bit of black soap. Red spiders are actually a type of mite that survives by eating leaf cells — the bites of these insects give a lead-grey color to the leaves. Spray the leaves regularly with water, as these spiders hate moisture!